Vojenský umělecký soubor Ondráš (the Ondráš Military Art Ensemble) is preparing a new project in which both professional parts of the ensemble will perform and together celebrate the 65th anniversary of their founding. Krajinou času (Through the Landscape of Time) offers a mosaic of folk dance and music from selected regions of Bohemia, Moravia, Silesia and Slovakia. The performance of Krajinou času will first take place on Thursday 28 March 2019 from 7.30 p.m. in the Divadlo Bolka Polívky (Theatre of Bolek Polívka). Among the musicians taking part is for example the cimbalom player Jiří Gužík, former long-term member of the ensemble, and Jan Rokyta junior, who in recent years has often played with Ondráš. There were several authors creating the choreography, such as Ladislava Košíková (Hradišťan, Uherské Hradiště), Stanislav Marišler (SĽUK, Bratislava) and Kateřina and Tomáš Jehliček (Mladina, Plzeň). The premiere is taking place for charity, with the takings from ticket fees going to the Krtek Children’s Cancer Foundation and the Military Solidarity Fund. The patron of the performance is the Ministry of Defence’s State Secretary Petr Vančura. Thanks should also go to the South Moravian Region for its long-term support and the Divadlo Bolka Polívky for help in the organisation. 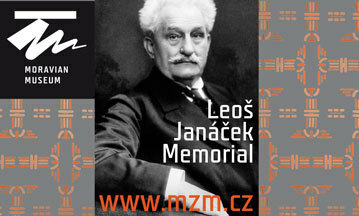 Ondráš was founded in 1954 and is giving two premieres for its anniversary this year.